Christopher “Smitty” Smith is a mediator based in Miles’ Savannah office. He focuses his mediation practice on complex business disputes, construction law, and catastrophic personal injury. 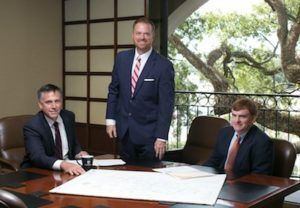 In addition to managing a mediation practice, Smitty is a partner with Hunter Maclean in Savannah, where he serves as the leader of the firm’s Transportation Group. How did you earn the nickname “Smitty? When I was a high school freshman, the gym teacher said “Smitty, get your parents to sign this football permission slip or I can sign it for you,” and nobody has called me Chris since. A lack of lab hours to get into medical school. 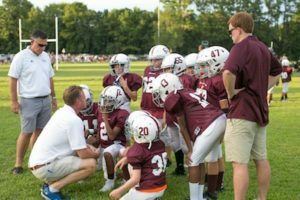 What’s your area of specialization? What are you most proud of with respect to your career? Winning a trial that lasted several months arising from an industrial plant explosion. Why did you become a neutral? I always see both sides of an argument and believe that mediation is the most effective and efficient form of dispute resolution. What does ADR look like in 10 years? Mediators will be assisted by computer-based modeling techniques and game theory applications. What do you hope to accomplish through your ADR practice? Offer litigants a more efficient method of conflict resolution. One day I would like to work on the resolution of political disputes. What is your conflict resolution style/approach? Quick-thinking and good on my feet. 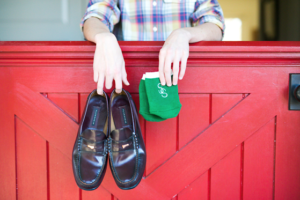 Living in Savannah, I wanted a sock that I could wear with loafers during the warmer weather. I worked with a manufacturer in China to design what I call “No See ‘Um” Socks (named after our sand gnats here in Savannah). We have had buyers from across the country, but I now mostly sell the socks locally. Savannah Sox have been featured in different media including the South Magazine. It is always fun to go to a cocktail party and see several gentlemen wearing my socks. Annapolis, MD—right near the Naval Academy. I coach football and lacrosse. Hemingway. He experienced life on his terms and wrote with an honesty that will never be duplicated. Christopher “Smitty” Smith has tried numerous cases across the country and was nominated to American Board of Trial Advocates in 2012. 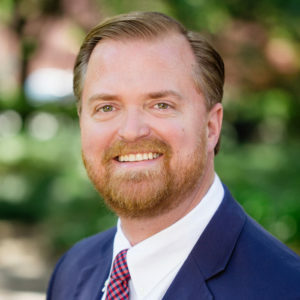 He is listed in The Best Lawyers in America and has been named one of Georgia Trend’s Legal Elite as well as a top attorney by Savannah Magazine. He is a graduate of both Leadership Savannah and the State Bar of Georgia’s Leadership Academy. With 20 years of litigation experience, Smitty has participated in more than one hundred mediations. He has served on the board of the Boys & Girls Club, the Next Generation Advisory Board of Memorial Hospital, the Business Board of Employability, the Board of Leadership Savannah, as Vice President of the Live Oak Public Libraries Foundation, and as President of the Young Lawyers Division of the Savannah Bar Association. He is a graduate of the College of Williams and Mary (B.S. 1995) and the University of Georgia School of Law (J.D. 1999). To learn more about Christopher Smith or to view his online calendar, click here.